Leaders Tip: How much is your time worth? This week we’ll look at a fresh way to look at your time. It changed the way I think about how I use mine! So today, I am going to give you a tip on that, but it’s not a how-to tip. It’s not a how-to on how to manage your time better. It’s a different way of thinking about your time. Let me explain that. A few years ago a friend of mine came to me and said “Dave, how much is your time worth?” And I said “What?” I wasn’t sure what he was getting at. He said, “How much is your time worth? Let me explain it to you this way. Dave, if you earn in a typical 40 hour work week. If you make $10/hour, you’re going to earn $20,000/year. If you make $20/hour you’ll make $40,000/year. If you make $50/hour, you’ll make $100,000/year.” And I thought, yeah, I can do the math. So I agreed that I could do the math and get that. He said, “Well, your time is worth something. There is a value on it. And spending time is just as big a deal as spending money. Most of us don’t have any way of evaluating it though. Put a number/value on your time and it will change how you use it.” Then he turned it around and said, “Now let me ask you in a different way. How much money do you want to make this year?” He said, “Let’s just say…” I didn’t know how to answer that so he said “Let’s just say it’s a $100,000/year. That means that you need to make $50/hour. If you start valuing your time at $50/hour I will bet that it changes how you use it. When you plan your time, you will plan to do different things that you think have a higher value. When you look back on your time to review it, you can look back and say did I put in $50 worth of work? Was that $50 worth of work that I did in that hour or was it somehow less? Doing that will change how you think about time. It’ll change what you do and how you do it. Overall, it’ll result in you becoming more successful and probably hitting that salary level if that’s what you’re concerned about. I want to suggest to you this. Right now, go ahead and put a value on your time. How much is your time worth? $10/hour? $20/hour? $50/hour? A hundred? Put that number on there and keep that in mind as you go through this week. It will change how you view your time. It’ll change how you use your time. You will probably get more done. You’ll get it done at a higher quality. And you’ll focus on more important things. Okay, that’s going to be good news for you and the people around you. So, how much is your time worth? In my experience, there are few writers on anything related to leadership who demonstrate the wisdom and insight of Larry Osborne. I read anything he writes, and I almost always benefit. Innovation’s Dirty Little Secret is no exception. While his focus is on innovation, in many ways it’s a book about leadership from a fresh angle. His description of the difference between mission and vision was especially helpful. Those words are constants in almost any tome on leadership, but in my experience, I have found them to often be misused, confused, or plain unhelpful because of a lack of understanding about each of them. One of the difficult things about this book was how many great nuggets there were. Often I would find myself stopping and chewing on something that was almost a side comment but that really struck me. I’m eager to hear what you thought of the book and what struck you. I’m also interested in hearing what you’ve learned about innovation that might not have been mentioned in the book. Everyone wants to win; everyone wants to succeed. But the most important ingredient in getting there may surprise you! Hint: it’s not how bad you want it! Hey guys it’s Dave Frederick with this week’s Leaders Tip. Right now it’s in the fall and I’m a big college football fan. My team is the Northwestern Wildcats and they’re having a great year. I’m thrilled! In the process of watching college football, I get to watch a lot of games. I was watching one recently where it was one of those exciting games and it was back and forth and back and forth. Who was going to win? Then the announcer kept saying “The team that is going to win this game is the team that has the will to win.” And he used that phrase several times. Well, after the game I was watching the post game interview with the coaches and one of the coaches was asked about that. “Did you win because you had the will to win?” Or something like that. And he just shook his head and said, “No, you understand that he will to win is that big of a deal. At this level, everyone has the will to win. Champions are those how have the will to prepare to win.” And he said it a couple of times. “Champions have the will to prepare to win.” And it really struck me. He said, “You know, those are the guys who put in the time Monday through Friday so that on game day they can do their best. They put in the time studying the film and working out in the weight room and running their drills and really practicing to be their best. They put the time in and work hard then so that at game time they can step up and win.” It’s interesting because studies have shown that the most successful people in any field be it sports, or business or the arts or some other area are the ones who put in the most time in preparation. If they’re giving a speech or a talk, they put more time into developing their content. More time into developing how they’re going to say what they’re going to say, and more time practicing their speech so that when they give it, it’s a home run. They put more time into preparing for meetings so that when they come in they know what the issues are and what the options are so they can make better decisions. The end result of that is that the quality of their work is significantly better than those who don’t prepare or spend less time in preparation. Or especially better than those who just kind of wing it. Now it’s that kind of preparation that increases the quality of what people do, but it’s not easy. It’s harder work and it’s not as exciting. It’s never as exciting to prepare for the talk as it is to give it. It’s never as exciting to work in the practice as it is to play in the game, but it makes all the difference in the results. It takes more time, but it’s worth it if you want to be successful. The quality of what you do will improve. If you want to be successful, take the time to prepare well. Champions have the will to prepare to win. Not just the will to win. Right now it’s in the fall and I’m a big college football fan. My team is the Northwestern Wildcats and they’re having a great year. I’m thrilled! In the process of watching college football, I get to watch a lot of games. I was watching one recently where it was one of those exciting games and it was back and forth and back and forth. Who was going to win? Then the announcer kept saying “The team that is going to win this game is the team that has the will to win.” And he used that phrase several times. Well, after the game I was watching the post game interview with the coaches and one of the coaches was asked about that. “Did you win because you had the will to win?” Or something like that. And he just shook his head and said, “No, you understand that he will to win is that big of a deal. At this level, everyone has the will to win. Champions are those how have the will to prepare to win.” And he said it a couple of times. “Champions have the will to prepare to win.” And it really struck me. He said, “You know, those are the guys who put in the time Monday through Friday so that on game day they can do their best. They put in the time studying the film and working out in the weight room and running their drills and really practicing to be their best. They put the time in and work hard then so that at game time they can step up and win.” It’s interesting because studies have shown that the most successful people in any field be it sports, or business or the arts or some other area are the ones who put in the most time in preparation. If they’re giving a speech or a talk, they put more time into developing their content. More time into developing how they’re going to say what they’re going to say, and more time practicing their speech so that when they give it, it’s a home run. They put more time into preparing for meetings so that when they come in they know what the issues are and what the options are so they can make better decisions. The end result of that is that the quality of their work is significantly better than those who don’t prepare or spend less time in preparation. Or especially better than those who just kind of wing it. Now it’s that kind of preparation that increases the quality of what people do, but it’s not easy. It’s harder work and it’s not as exciting. It’s never as exciting to prepare for the talk as it is to give it. It’s never as exciting to work in the practice as it is to play in the game, but it makes all the difference in the results. It takes more time, but it’s worth it if you want to be successful. The quality of what you do will improve. If you want to be successful, take the time to prepare well. Champions have the will to prepare to win. Not just the will to win. I loved the title of Cashman’s book, Leadership From the Inside Out. That captures the basic truth that leadership is about more than just developing a set of skills; it is just as integrally connected to the kind of people we are. A basic leadership truism is that “we reproduce who we are.” We reproduce ourselves in both people and organizations that we lead. So, paying attention to who we are, and letting that flow into what we do, is a critical ingredient for success. Many of us have a difficult time breaking out of the self-limiting illusion that we are “the ones that make things happen.” All too often, successful, achievement-oriented people mistakenly believe they are the prime movers, the origin of accomplishments in their groups or organizations. Unfortunately, many driven leaders fail to comprehend how nothing is accomplished without engaging in relationships and appreciating the unique contribution of many, many people. That is not to minimize the importance of what we personally bring to the table or of our efforts to make things happen. But every major achievement or success I can think of in my history has required the efforts of many other people, and none of them would have happened if it all depended just on me. To be effective as leaders, we must invest in relationships and in honoring those who work hard to make things happen. It appeals to our ego to be “the guy,” but if we don’t get past that, few things will happen the way they could. With no silence, there is no reflection. With no reflection, there is no vision. With no vision, there is no leadership. As counter-intuitive as it may seem, silence and reflection are actually performance pathways to more expanded vision and more effective, innovative leadership. As leaders, how often do we take the time to relax and to think? Taking time to be quiet can feel unproductive. In our busy world, it seems like a luxury to take time away, not to work, but just to think (and by that I don’t mean the analytical thinking most of us do.) To take time to reflect, get in touch with the bigger picture or even just our own hearts seems counter-intuitive. But studies are now showing that regular times of non-agenda-driven quiet actually result in greater productivity, more creativity, and more peace, among other things. Rather than being a luxury, it seems like taking time for quiet is a necessity for any leader who wants to lead well. So what do you think? Do you take time for quiet, or do you think you are too busy? Or was there something else that struck you? Leading Congregational Change was a challenging book for me. I tend to be in the “ready, fire, aim” camp—preferring to just get things started and adjust as we go—and the authors here outline a very deliberate approach to congregational change. While this approach is different from my natural style, I can see some of the advantages. Clearly, if you want to bring deep, wide, long-lasting change rather than just get things moving, you need a deliberate process. I love the way the authors break that process down into clear steps. The importance of the vision community really stuck out to me. Putting the right people on that team is imperative. They need to be leaders, drawn from a wide range of the church’s members. The challenge for any pastor will be to select the right people. There would be some pressure to pick popular people (who aren’t leaders), or pick people based on seniority rather than gifts or ability. Some candidates would have a difficult time thinking about the whole church rather than their own particular area or department. It seems to me that getting those people on the vision team could significantly hinder the process. I also thought there was a lot of wisdom in having a small team take the process a long way before bringing it to the whole church. Too many cooks, too soon, spoils the broth. While the church membership clearly needs to be part of the process, the temptation is to bring them in too early, which dissipates the focus. 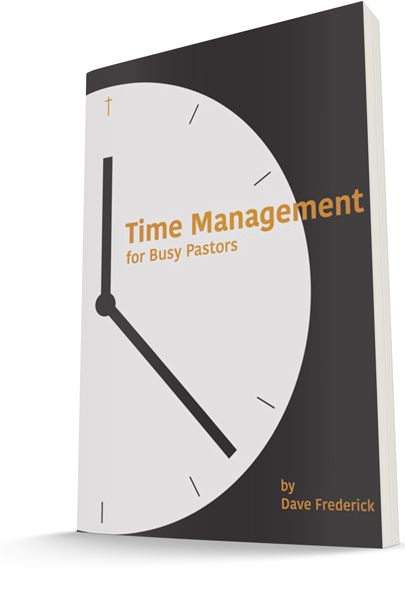 There could easily be pressure that causes a pastor to move too fast in order to include people, when a better result would come from being more patient. What insights would you add? What have you learned as you have led your church or organization through change? In The Soft Edge, Rich Karlgaard looks at how the “soft side” of business actually gives a huge competitive advantage to those who do it well. While mastering the hard side is important, advances in technology tend to level the playing field, and organizations that develop the soft side of things, such as trust, smarts, teamwork, taste, and storytelling, will come out ahead. The first relates to trust. In our day, the church is not a particularly trusted institution. Right or wrong, churches often have a trust deficit in their communities, which certainly hinders their potential impact. How does a church build trust? Avoiding ethical lapses, of course, but that should be a given. Karlgaard identifies another way: “…demonstrate real concern. We tend to trust people we believe will care about our welfare. So demonstrate to others that you’ll do the right thing for them, even if it’s uncomfortable or it puts you at risk.” This should come naturally to any church, but too often it doesn’t. But I think it would make a significant difference if churches were known in their community as places that really care about people and go beyond what is normal to help people—especially people outside the church. Seems pretty obvious, churches doing things that churches should be doing. That builds trust, opens doors, and increases impact. It works for businesses; how much more would that work for churches? Of course, that raises the question, “Why is that so rare?” That’s more than I can dig into in this post, but it’s a question worth asking for every leader. Is my church or organization doing anything that will build trust in my community? If not—why not? The second thing that struck me was the importance and power of story. A good story will link an idea with an emotion, which is a powerful way to move people to action. No amount of data or persuasive argument can do that the way a good story can, which leads me to think about both how I teach and how I cast vision. It’s immediately apparent to me that I can get a lot better at using stories. I do use them, but I can clearly do more. Why don’t I? Well, finding the right story takes work—it takes time, energy, and thought, and sometimes it is just easier not to. However, I, like every teacher, want to see people grow and change as a result of what I do. Remembering that motivates me to put the work in to find stories that communicate. It’s not a new idea; it’s just one I need to put into practice more diligently. So what about you? I’d love to hear what you are doing to build trust or what other takeaways you have from this summary. Let’s all learn from each other!